Connect, Succeed, Learn, Advance and Lead! 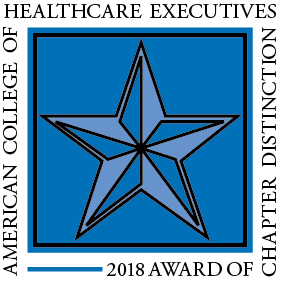 The Kansas Association of Health Care Executives is an independent chapter of the American College of Health Care Executives. KAHCE's mission is to be the professional membership society for health care executives in Kansas; to meet its members' professional, educational and leadership needs; to promote high ethical standards and conduct; and to advance health care leadership and management excellence. Membership in KAHCE is included with your ACHE membership. Join ACHE now at www.ache.org. Come learn with us on May 2 and 3, 2019 at the Ramada Inn Convention Center in Topeka and on May 2 at St. Catherine Hospital in Garden City. For the first time, KAHCE is able to offer a remote site for 3.0 ACHE Face-to-Face credits. A continental breakfast and full lunch will be served while you view and discuss the same information as those members in person. You may use the "Buy Tickets" button to reserve your seats at either place. ACHE's new Education Calendar is a companion piece to the Seminar Catalog that affiliates receive in January. The calendar is distributed twice a year as an insert in Healthcare Executive magazine. ACHE's Education Calendar is an easy-to-use tool to help affiliates schedule seminars and special programs around their professional and personal commitments. 3. On left column, click "My Profile"
5. Click "Change Your Address Info"